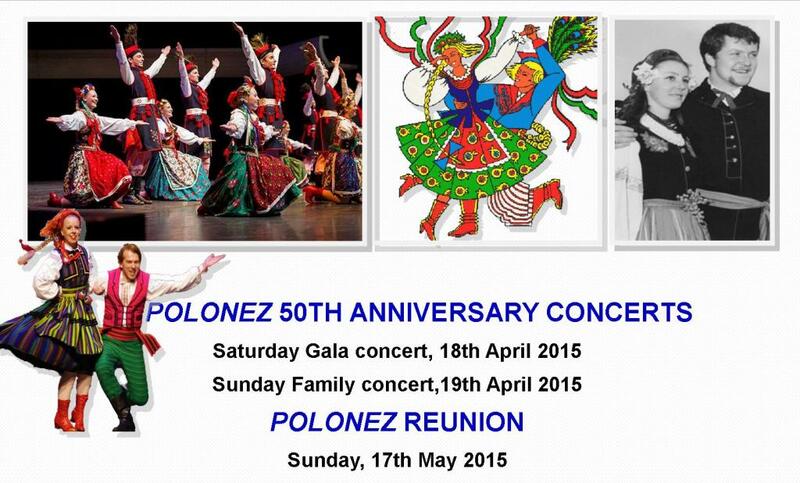 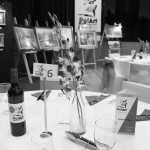 Polonez 50th Anniversary concert is not far away now! 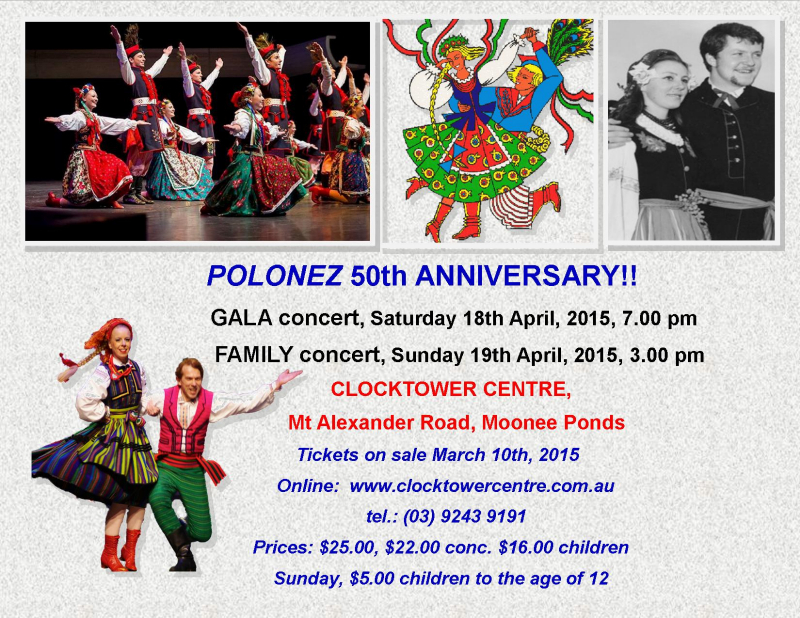 We our proud to be hosting not one but two events to celebrate this milestone in Polonez history. 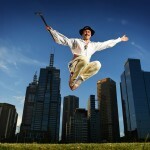 Clock Tower Centre Moonee Ponds, Melbourne. 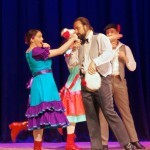 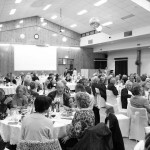 Tickets on sale now or contact the centre directly on (03) 9 243 9191. 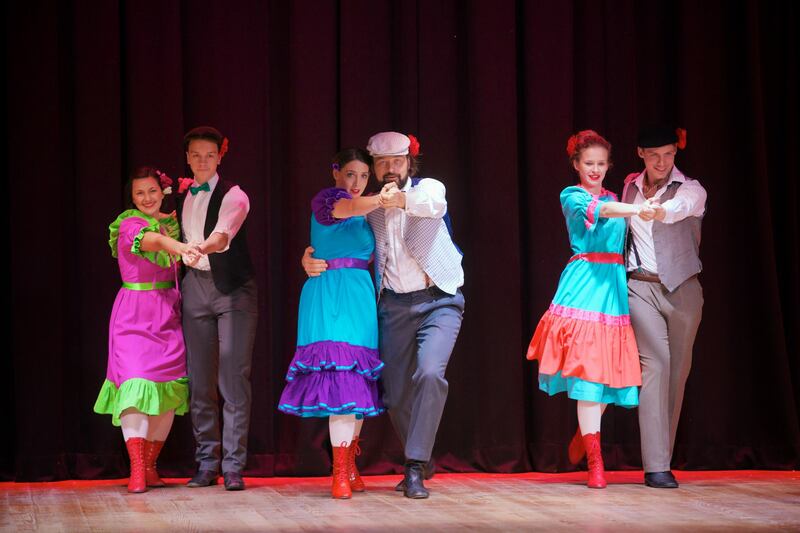 Tickets start from $16 for children to $25 for adults. 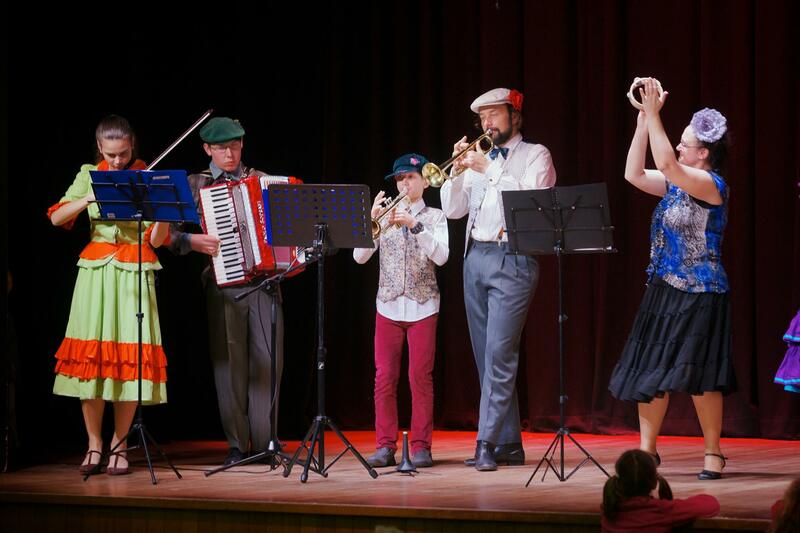 Sunday children only $5 up to the age of 12. 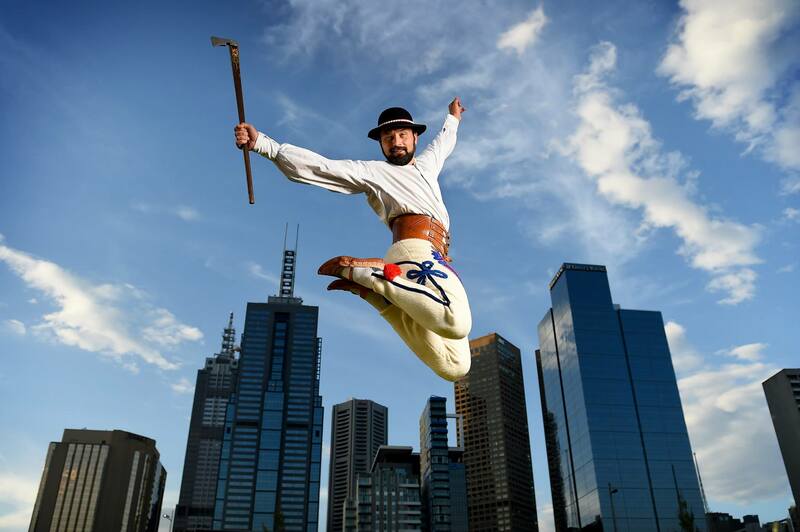 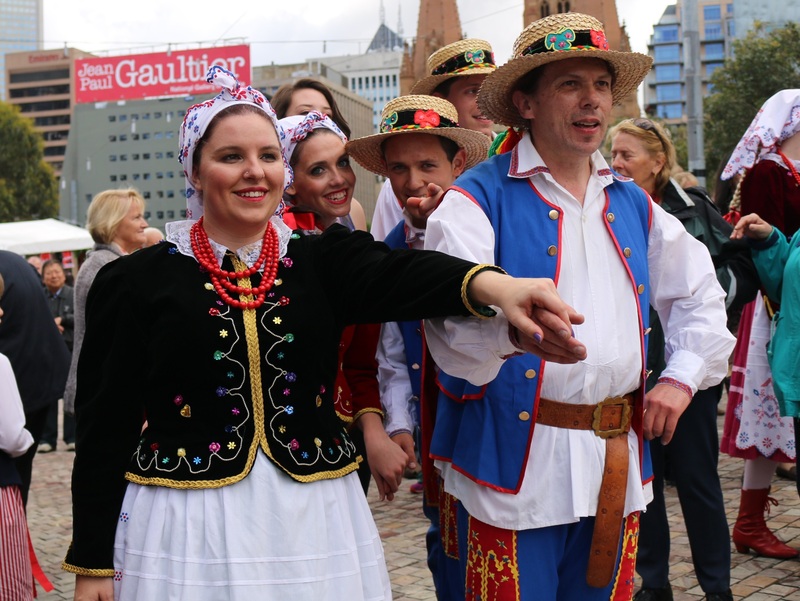 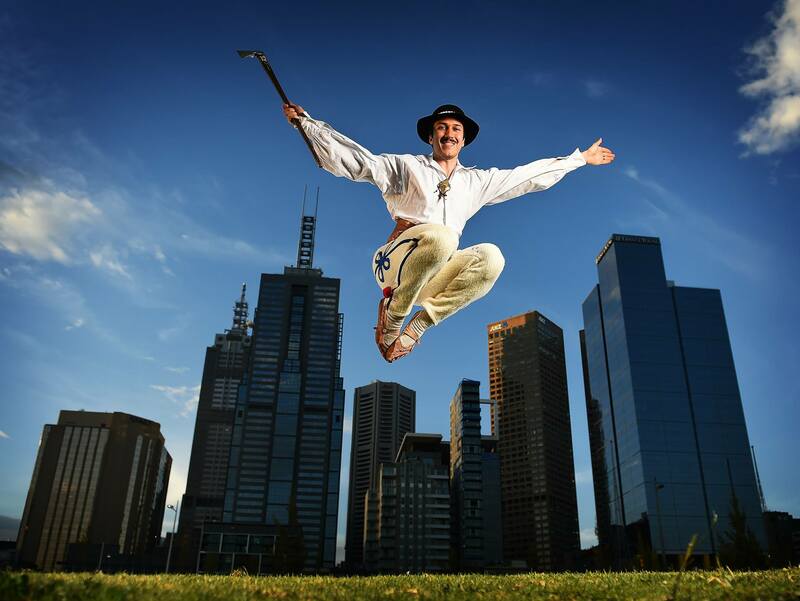 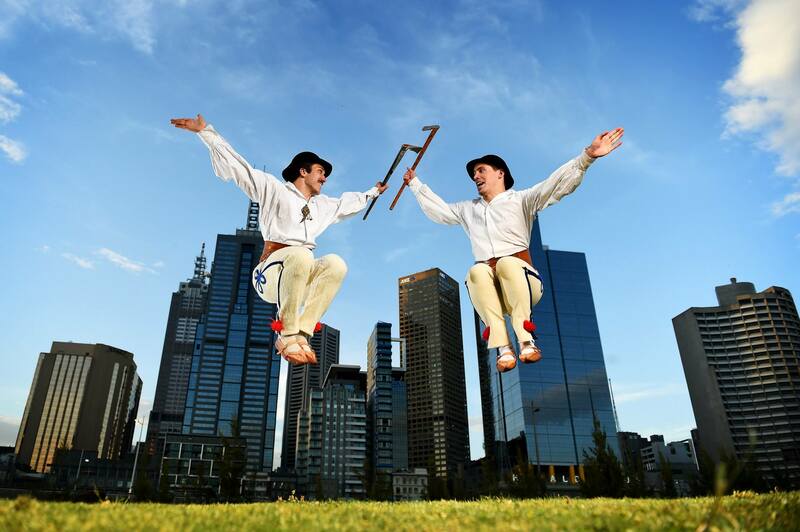 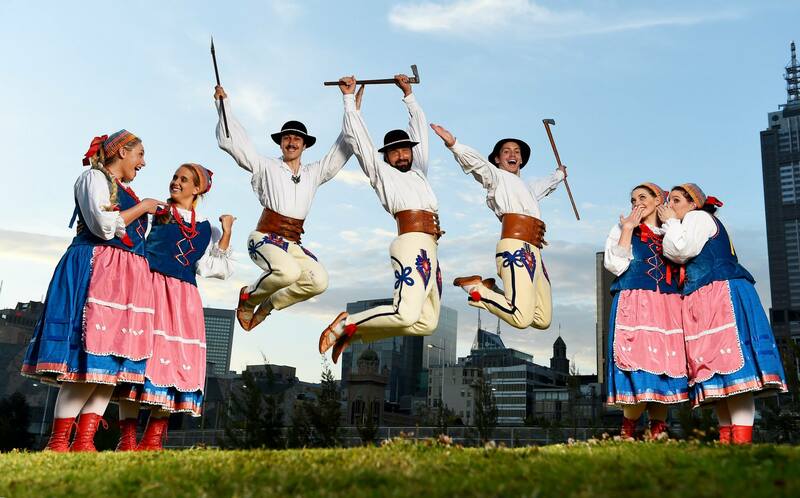 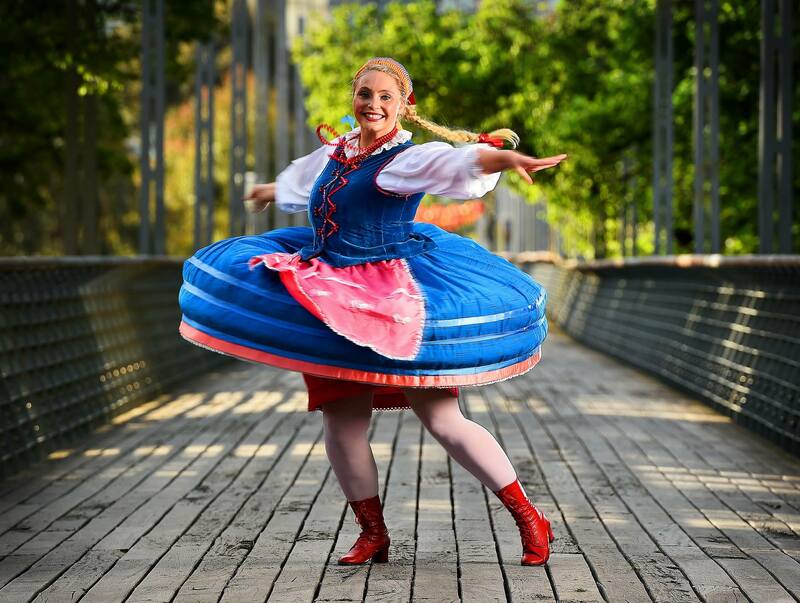 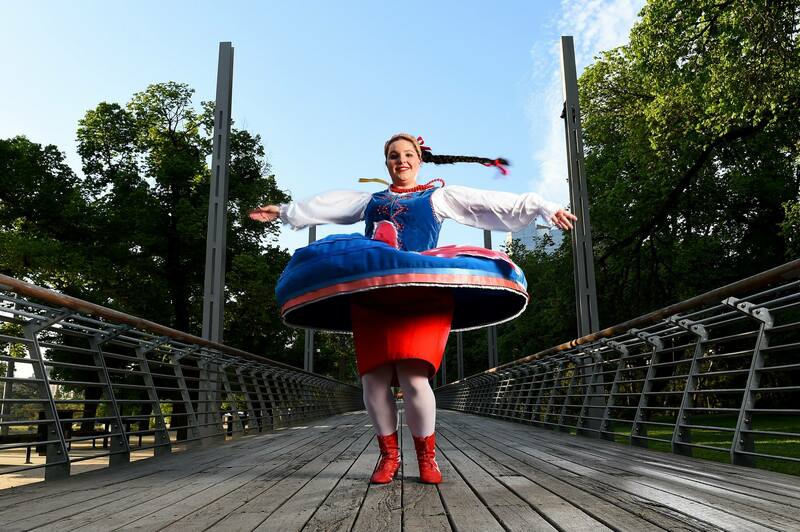 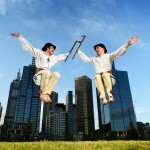 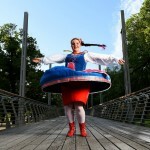 Polonez recently was asked by fellow photographer to pose for some shots for the Polish Festival @ Federation Square. 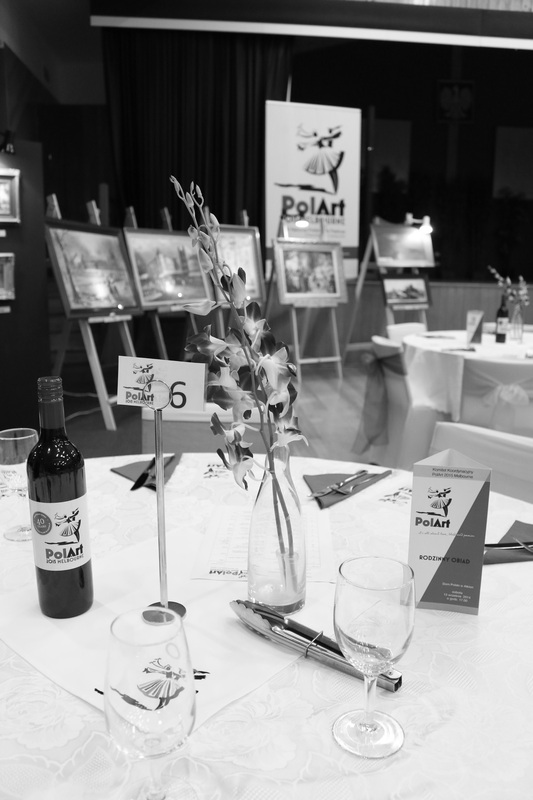 The results were stunning. 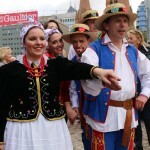 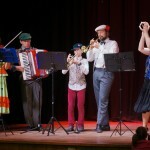 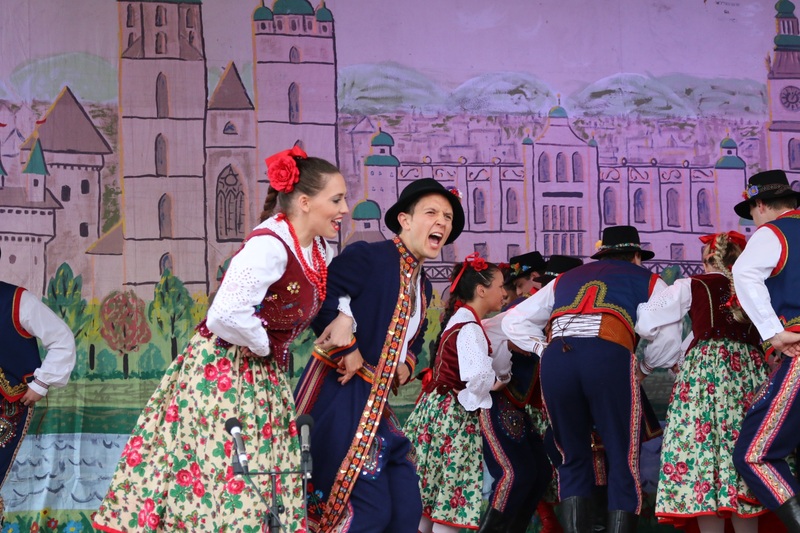 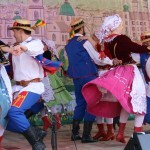 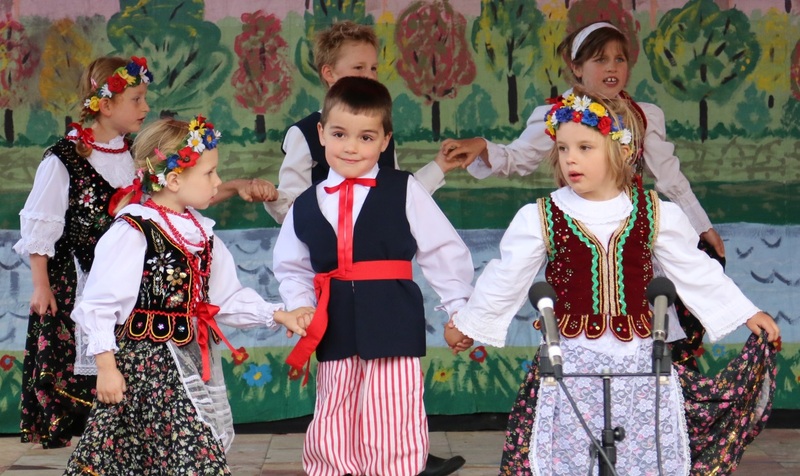 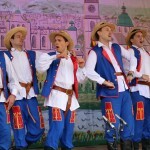 Polonez danced at the official opening of the festival with a Polka Sieradzka leading into a Nowy Sącz.This was follows up with the boys dancing their Arkan follows by a girls with a special version of Huculka. Mixed in with our younger dancers and vocalists. 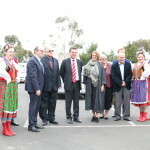 Photos provided by Irene Kutypa. 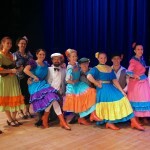 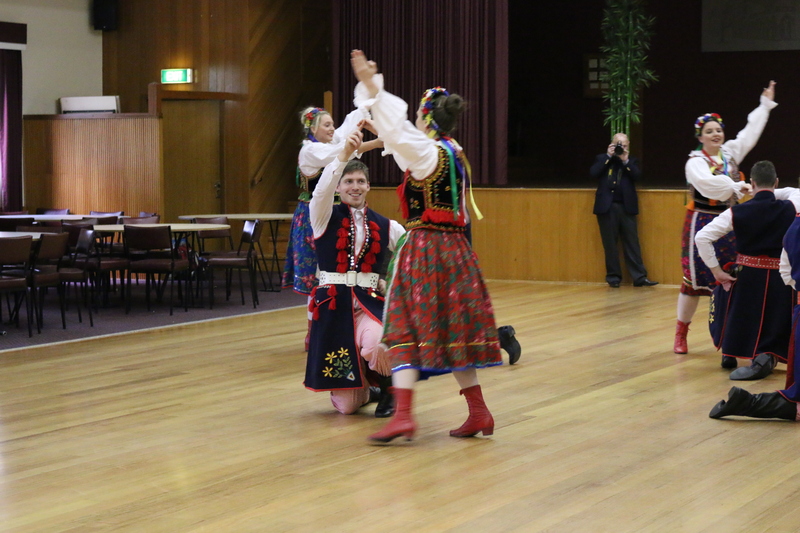 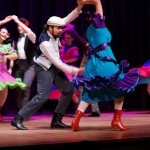 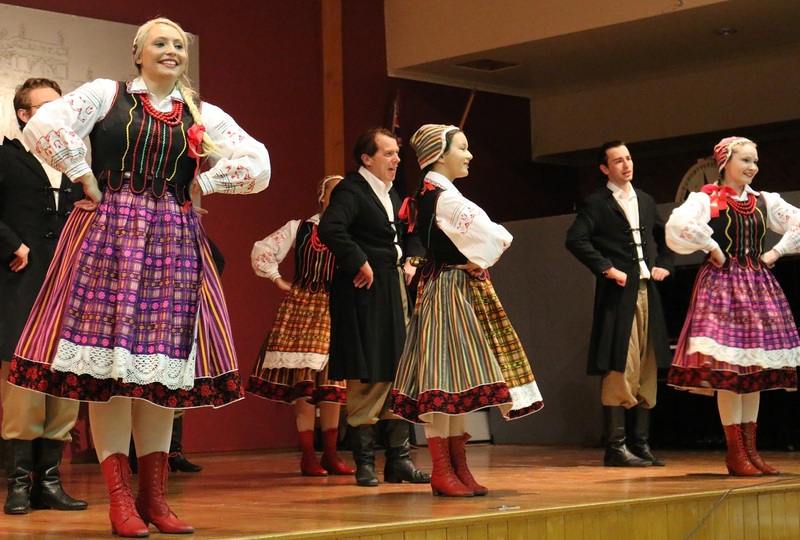 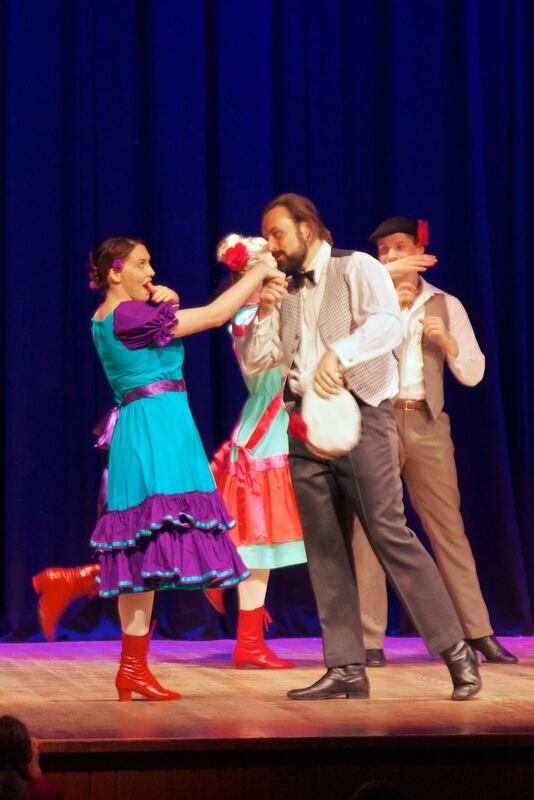 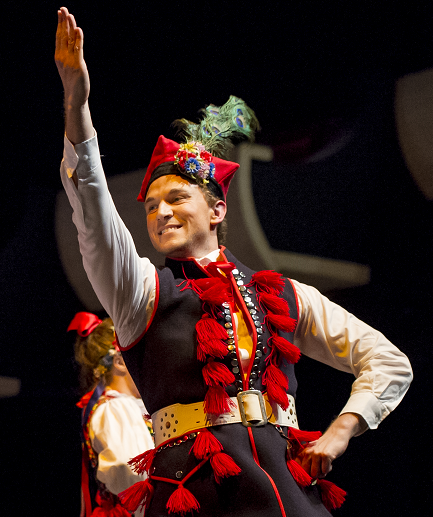 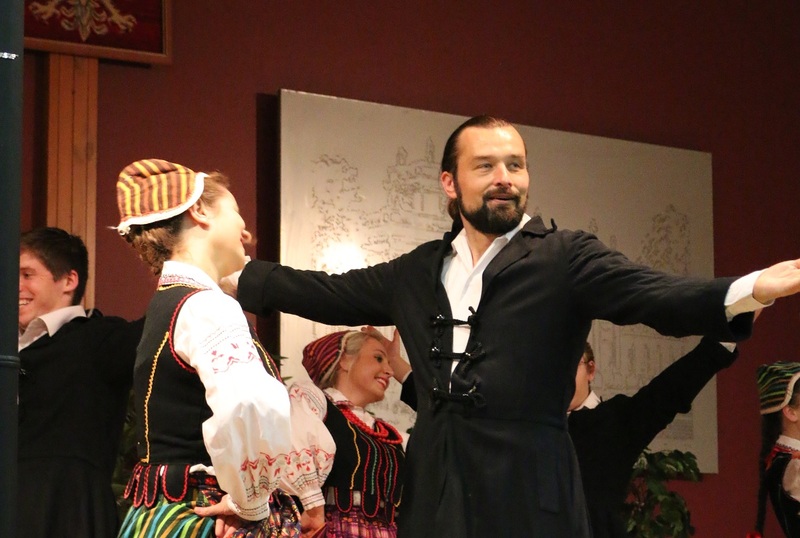 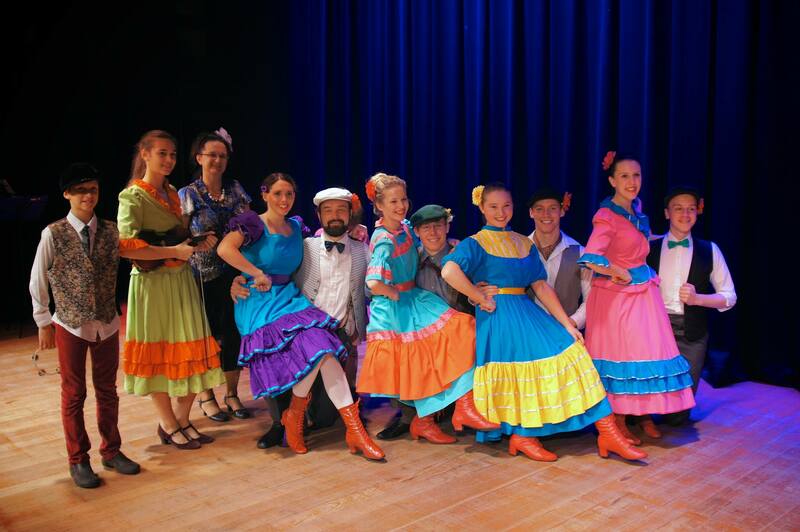 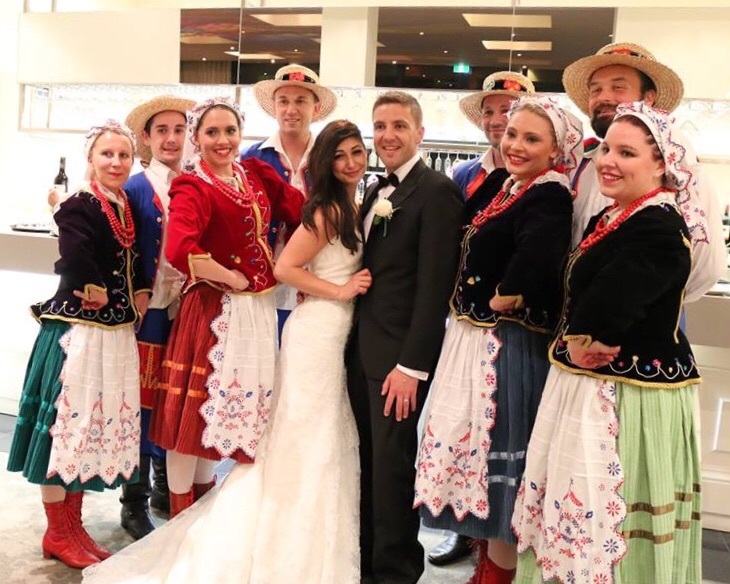 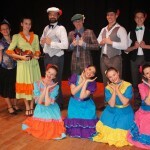 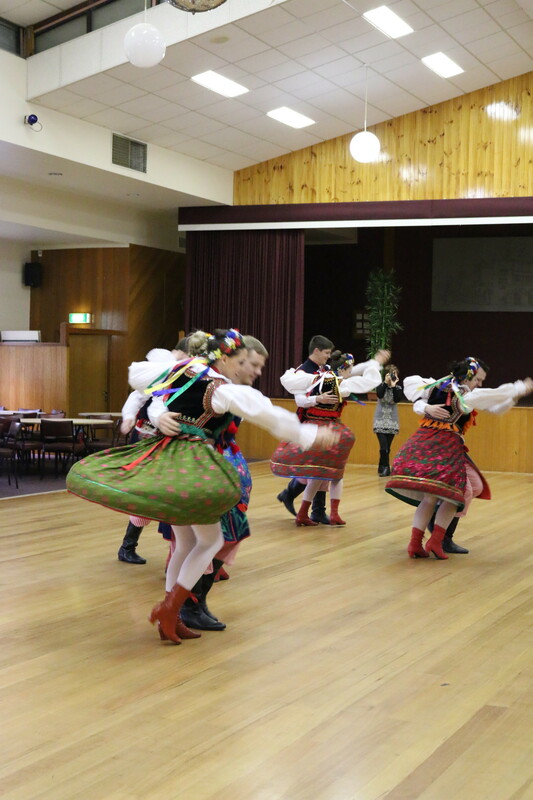 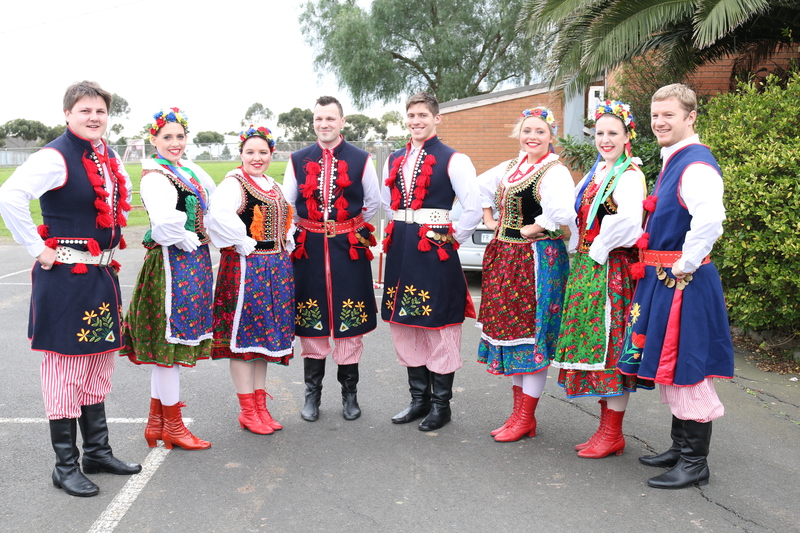 In 2015, Polonez Song and Dance Ensemble will celebrate its golden anniversary, showcasing 50 years of folkloric dancing in Melbourne. 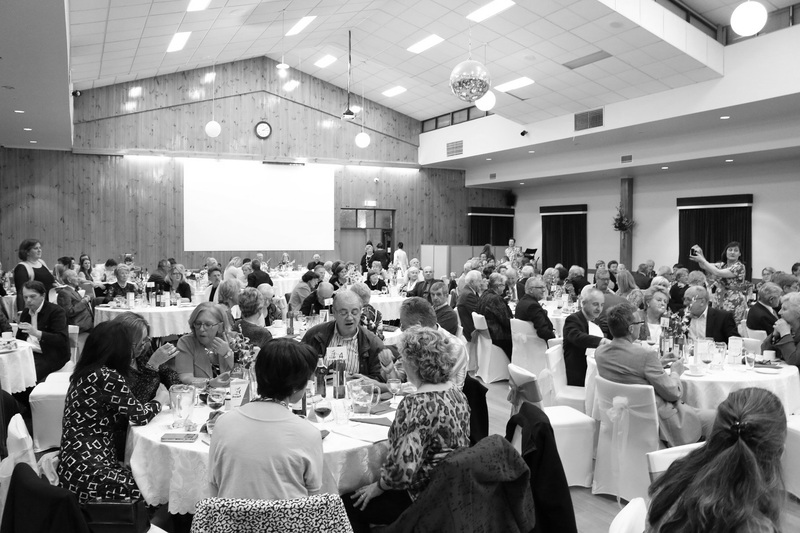 Two anniversary concerts will be held, one in the evening of Saturday 18th April, and the other on the afternoon of Sunday 19th April 2015 at the Clocktower Centre, Moonee Ponds, Melbourne. 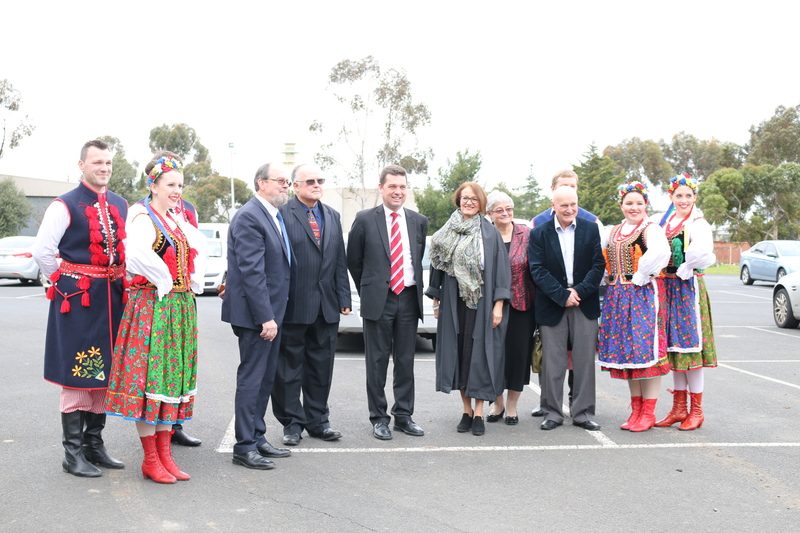 Celebrations for the extensions to the Polish Club Albion in the presence of Hon Nicholas Wakeling, Minister for Higher Education and Skills. 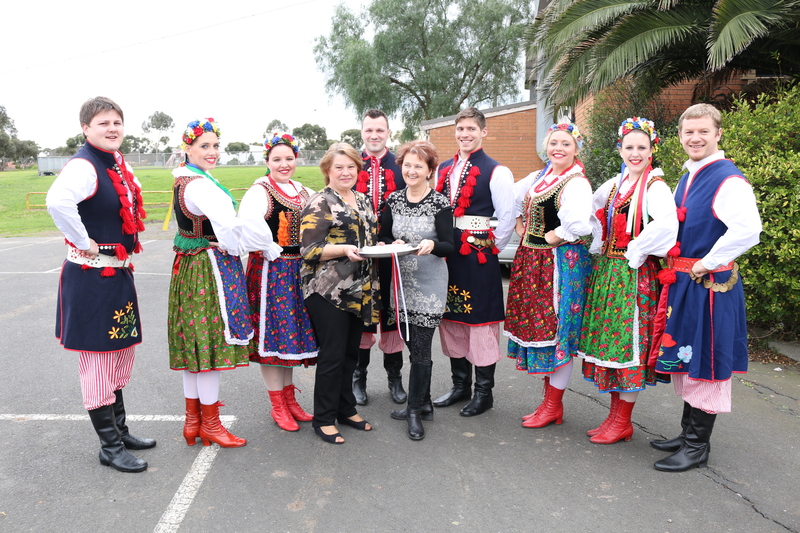 Polonez Melbourne singing and dancing the roof off at the “Biesiada” at Essendon Church. 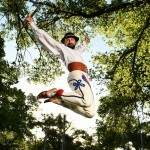 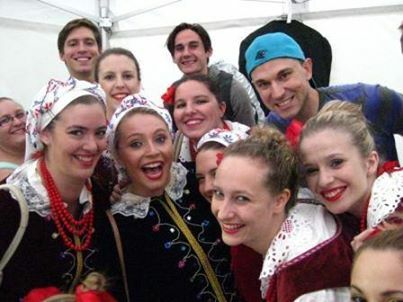 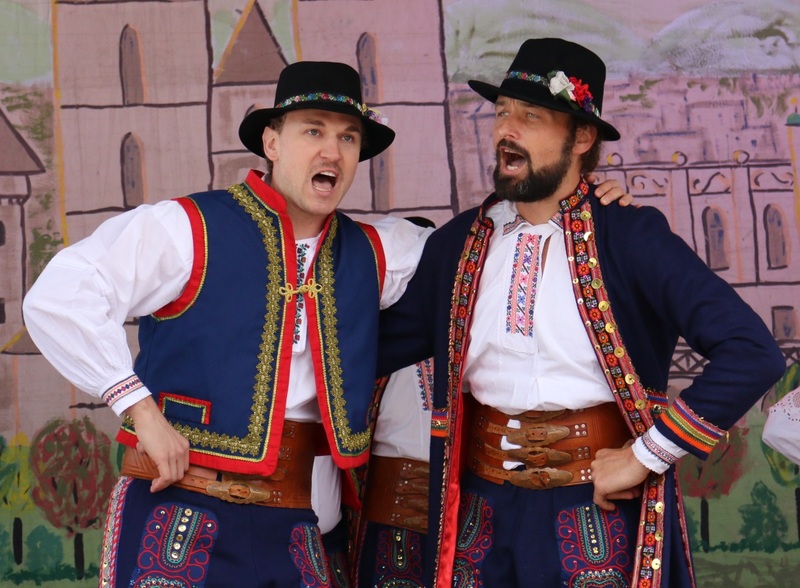 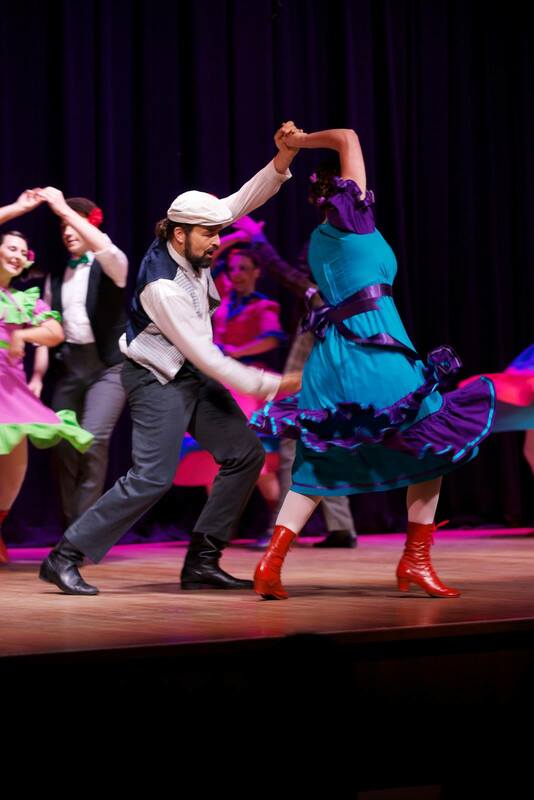 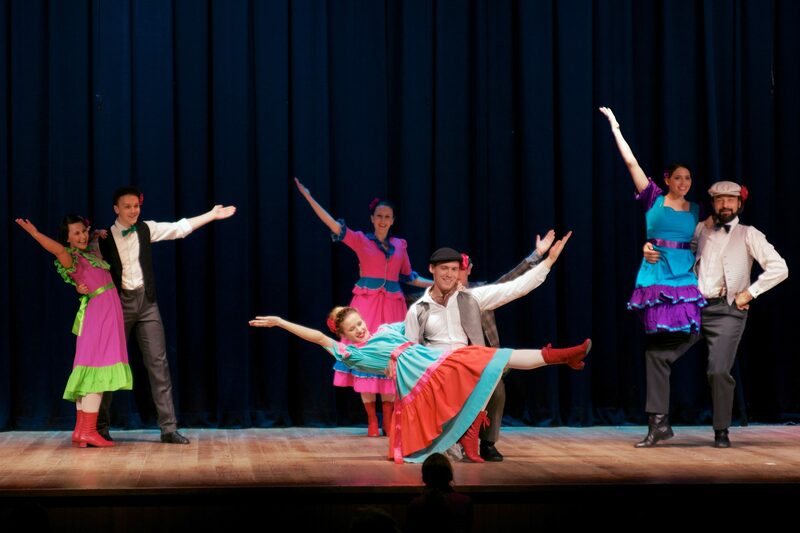 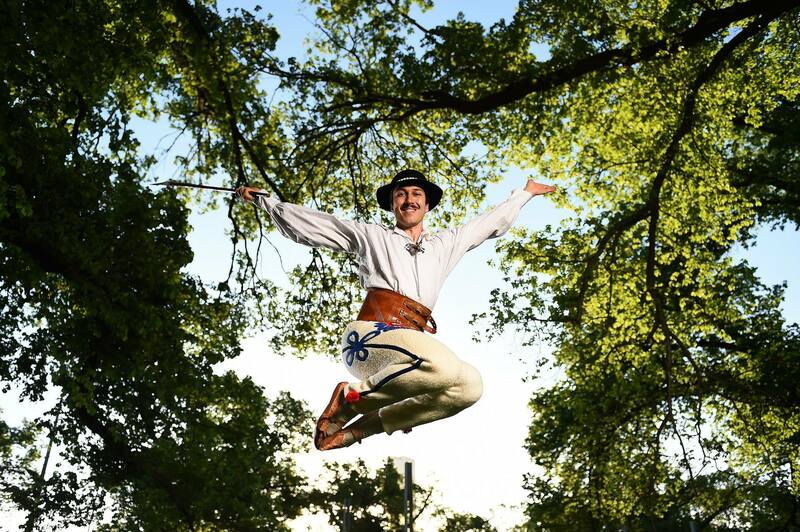 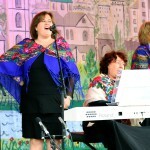 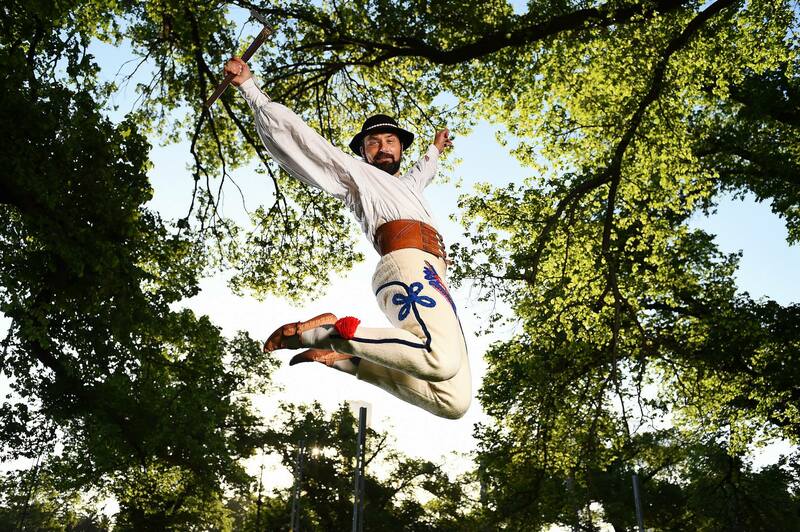 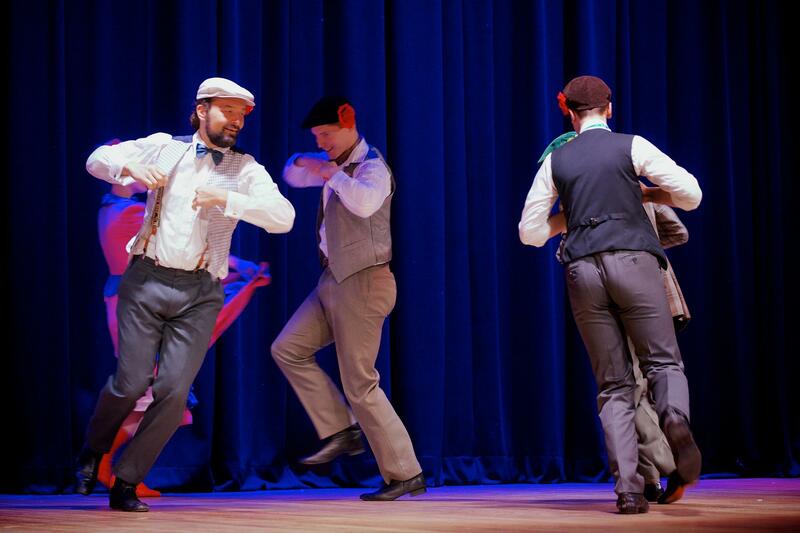 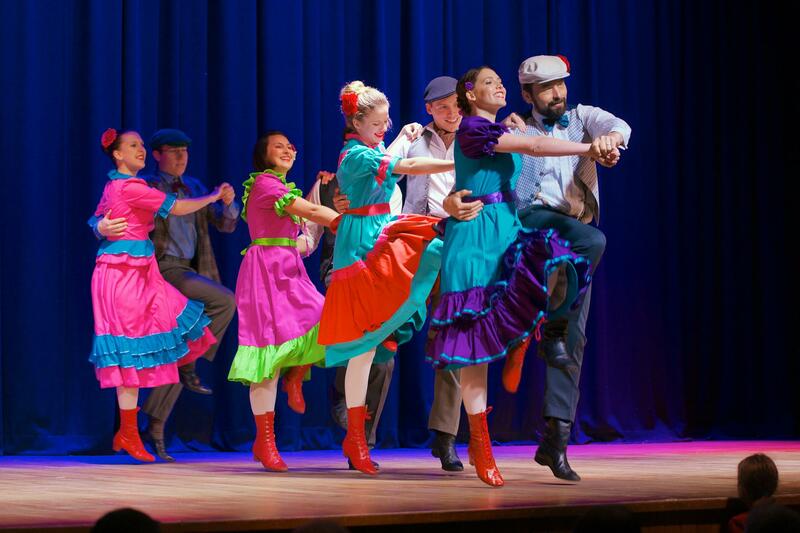 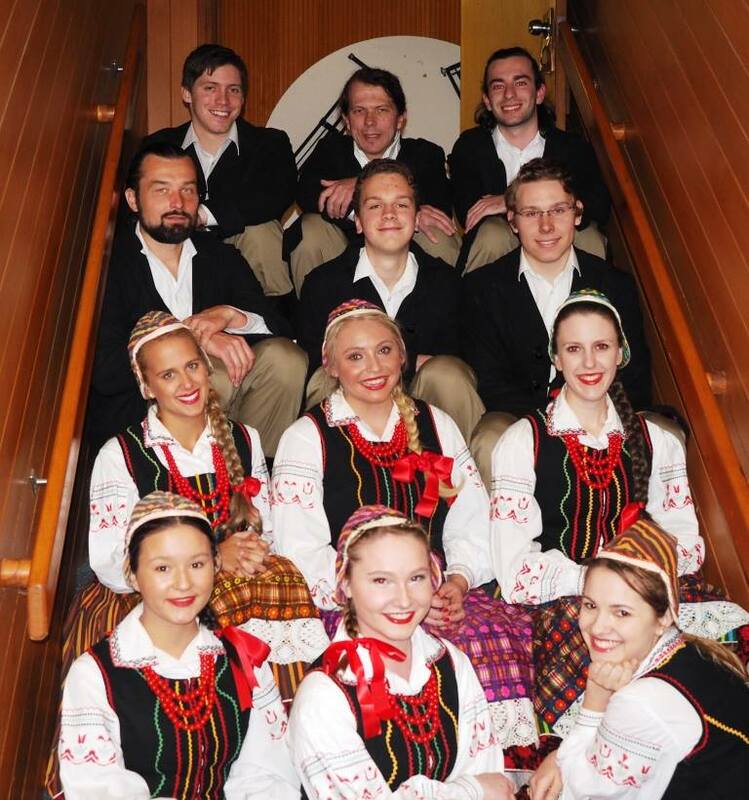 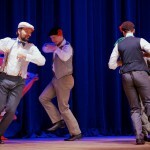 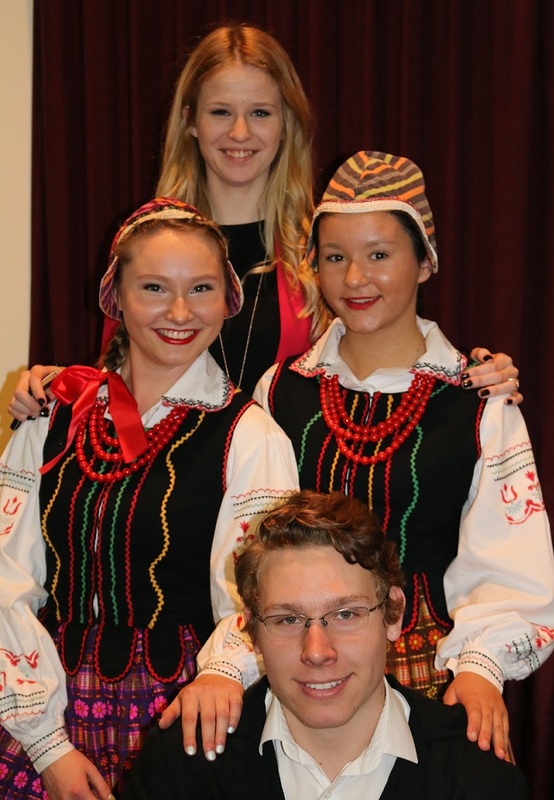 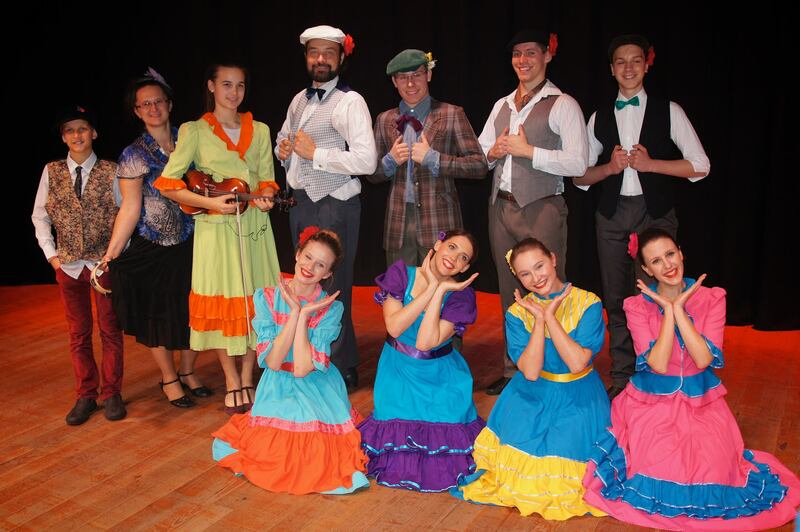 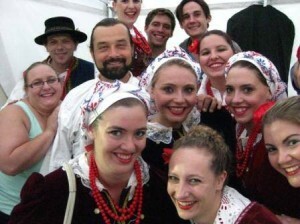 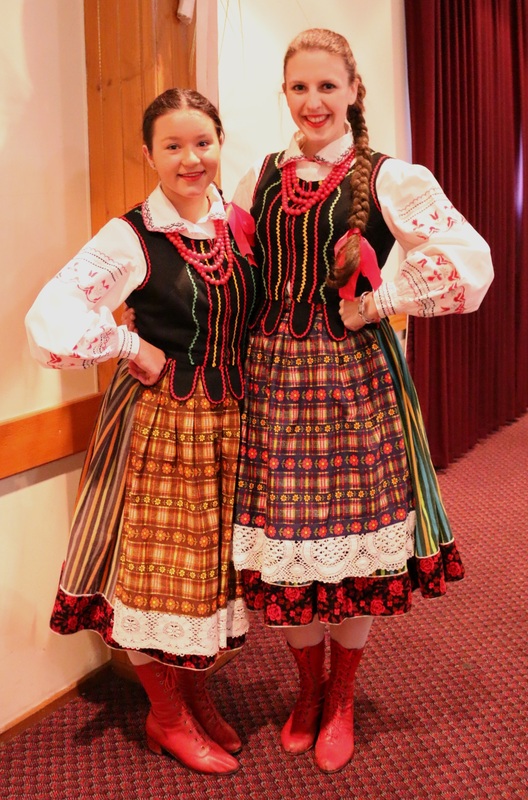 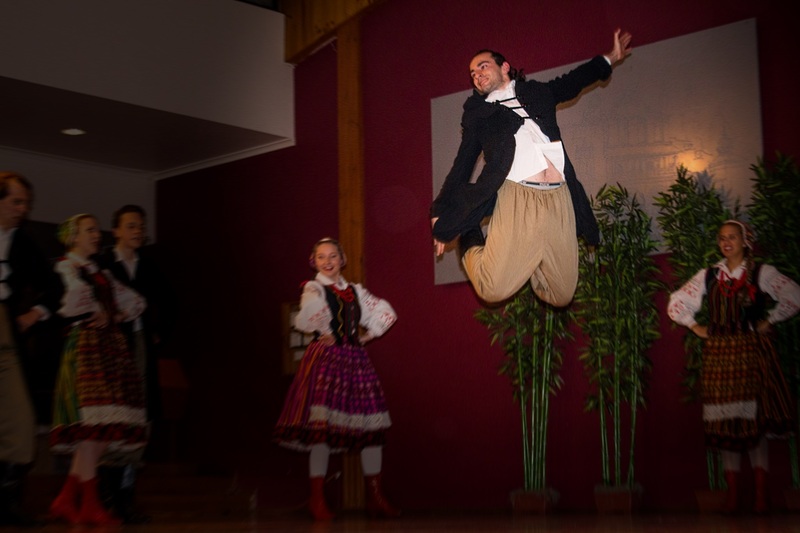 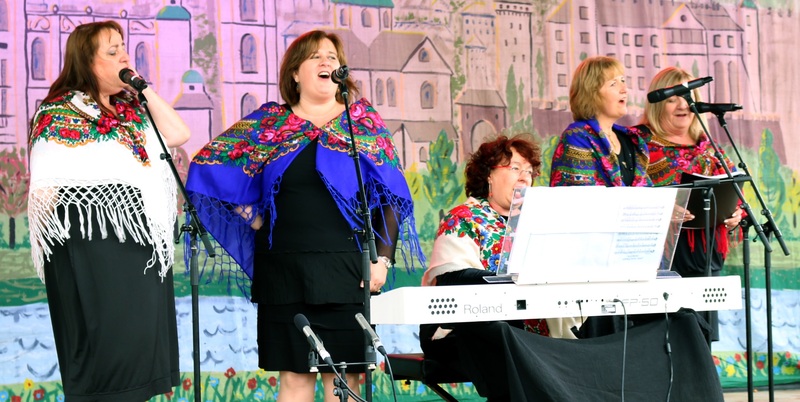 Polonez recently was invited to perform at the 2014 Music for the People Multicultural event. 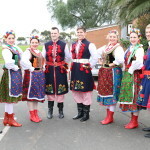 Celebrating the closing of the annual Brunswick Music Festival, the event was planned to be full of music, dancing and food but unfortunately was rained out, never the less Polonez kept a smile on their faces and were still excited to be together on the day.